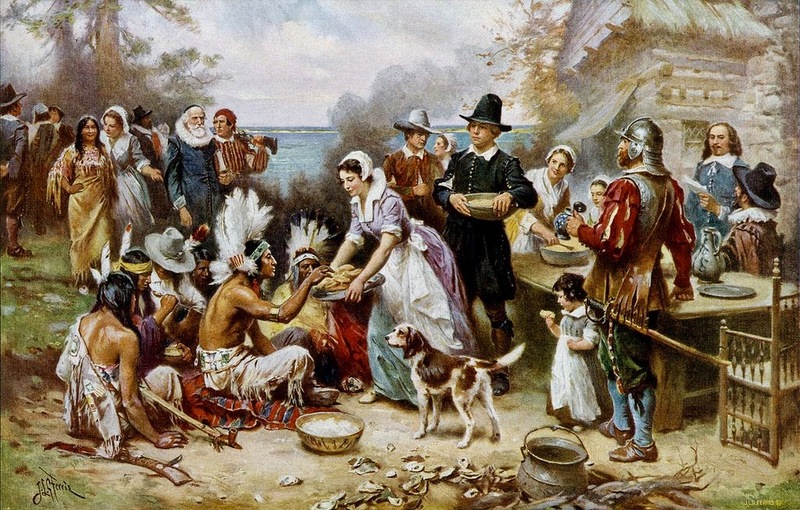 The First Thanksgiving 1621 by Jean Leon Jerome Ferris. Abraham Lincoln proclaimed the last Thursday of November, 1863 to be a day of “Thanksgiving and Praise to our beneficent Father who dwelleth in the Heavens.” It established Thanksgiving as an annual holiday in the United States. From the days of the Revolutionary War, the Continental Congress or Congress or a president would declare “national days of prayer, humiliation, and thanksgiving” at various times through the years. Governors of the various states, too, thought it appropriate to give thanks. Governor Robert P. Letcher proclaimed the First Thanksgiving Day in Kentucky back on September 26, 1844. Of course, Thanksgiving is traditionally recognized as having been a harmonious celebration between the Pilgrims and the Wampanoag Indians in the Massachusetts Colony. In reality, the Pilgrims celebrated a successful harvest. That “thanksgiving” lasted three days. The plentiful harvest would have been especially important given that the prior winter bore witness to the death of half of the Pilgrims’ number. Those colonists would not repeat Thanksgiving as an annual tradition, contrary to modern lore. 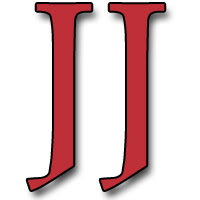 You can read the rest of my Thanksgiving column from this week's Jessamine Journal (November 27, 2014) by clicking here. There you'll learn more about Thanksgiving's history and about Franksgiving. Plus, a reminder to #ShopSmall by supporting local businesses on #SmallBusinessSaturday!